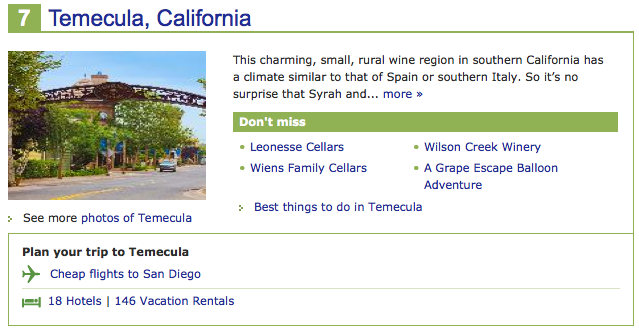 Millions of Travelers Worldwide Vote Temecula Valley Wine Country into the Top 10! 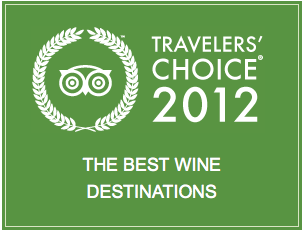 TripAdvisor, the world’s largest travel site, today announced the winners of its 2012 Travelers’ Choice Wine Destinations awards. Thirty-two spots across the world were honored, based on millions of valuable traveler reviews and opinions on TripAdvisor. Award winners were determined based on their popularity as wine destinations, taking into account travelers’ reviews and opinions for local wineries, restaurants, attractions and accommodations. Travelers’ Choice: Top 10 Wine Destinations in the U.S.
Click here for the entire list of the wine winners around the world!